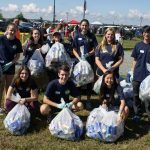 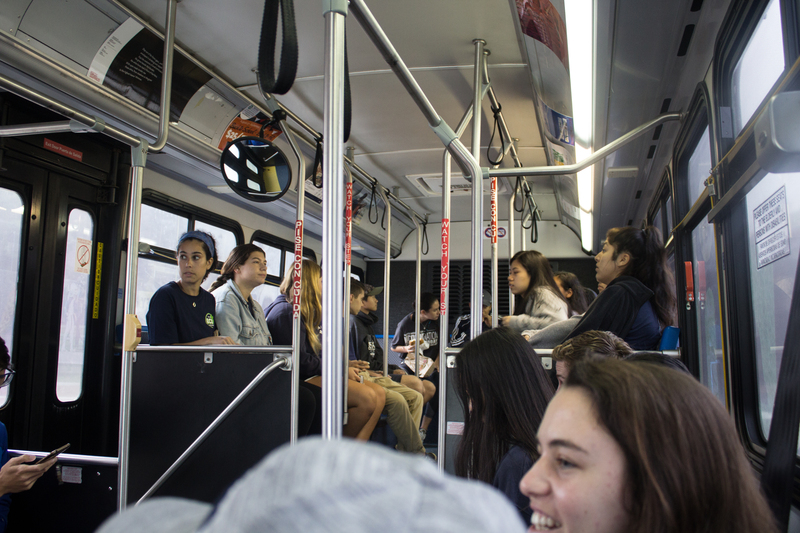 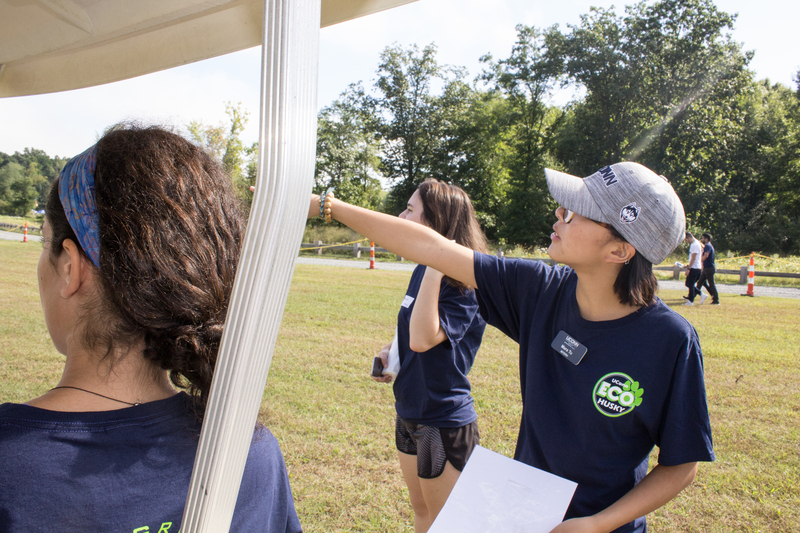 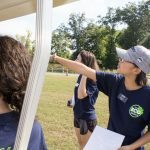 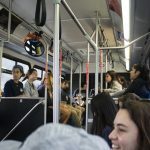 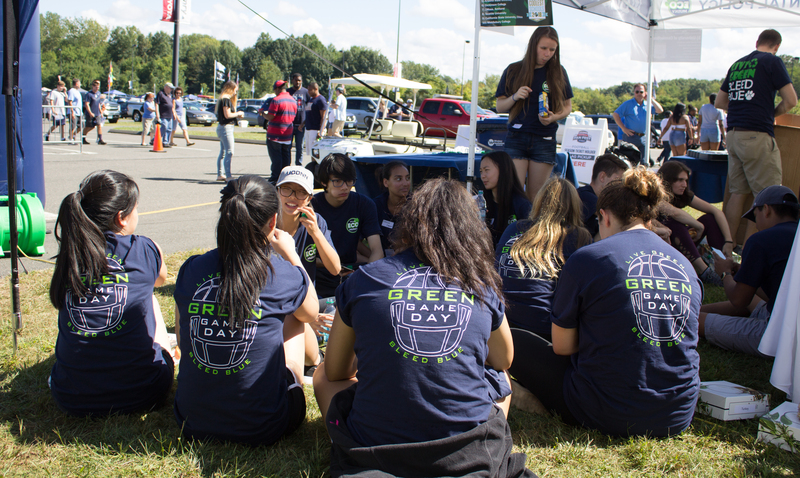 The EcoHuskies, interns in the Office of Environmental Policy, chartered one of the UConn buses to host a sustainability effort at the Pratt & Whitney Stadium at Rentschler Field before Saturday’s football game against the University of Rhode Island. 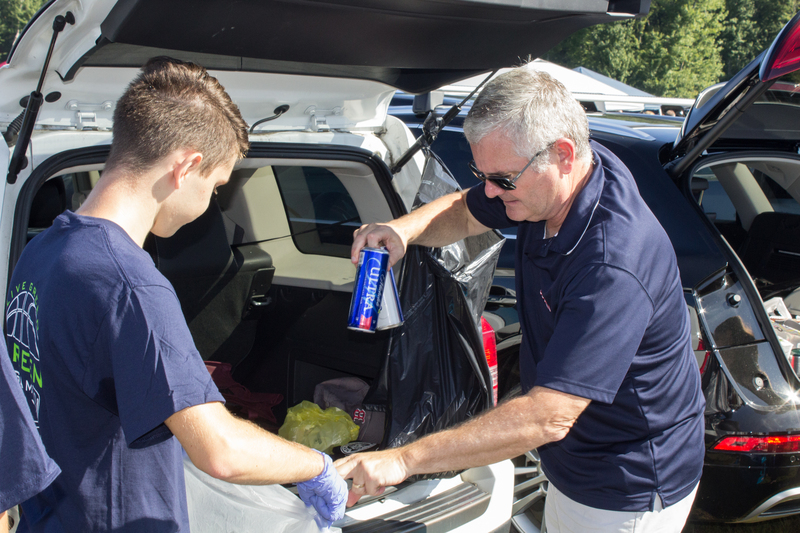 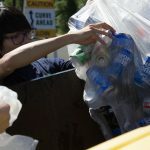 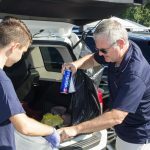 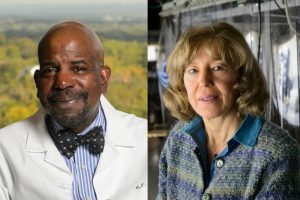 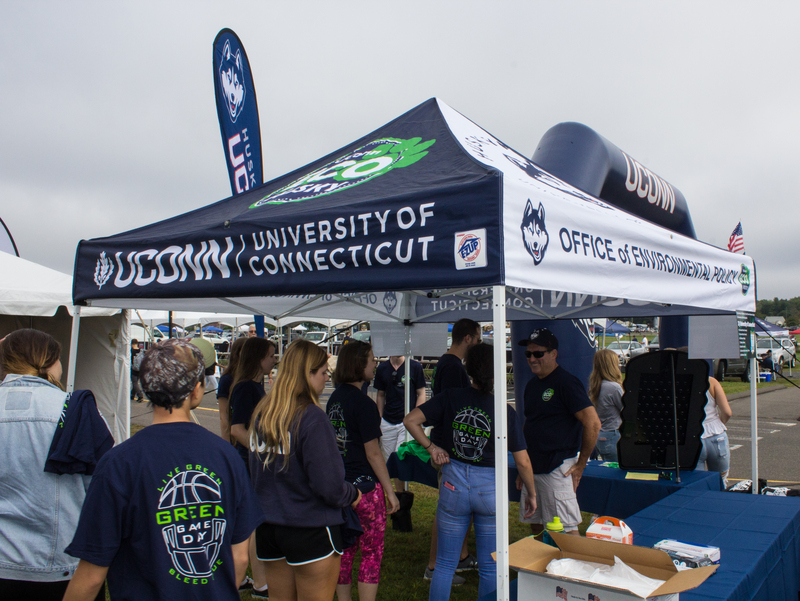 The Division of Athletics has worked together with the Office of Environmental Policy to promote recycling at all of its sports venues since 2008. 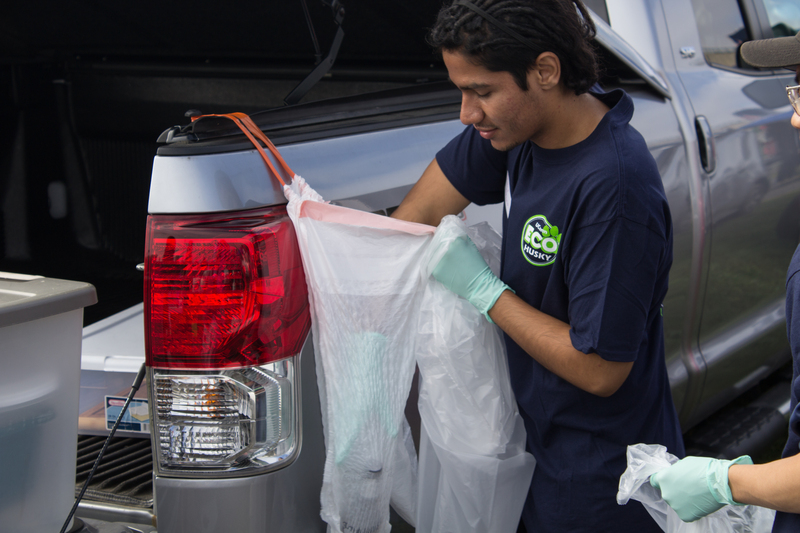 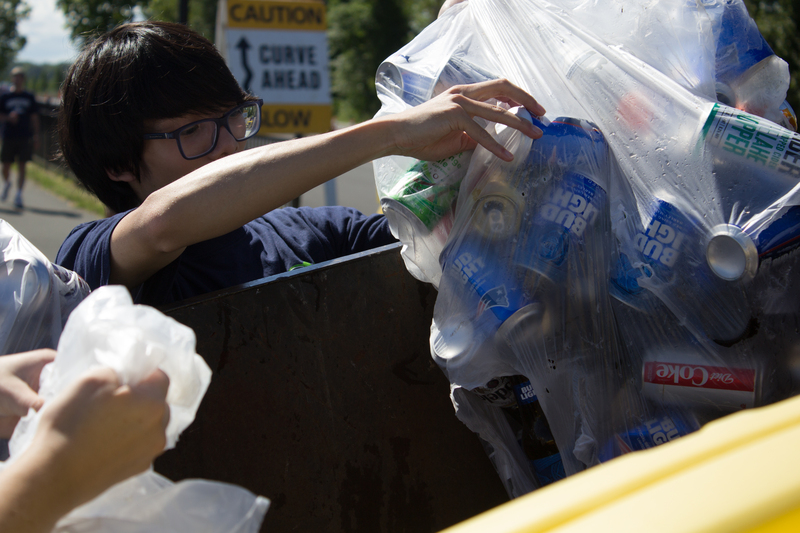 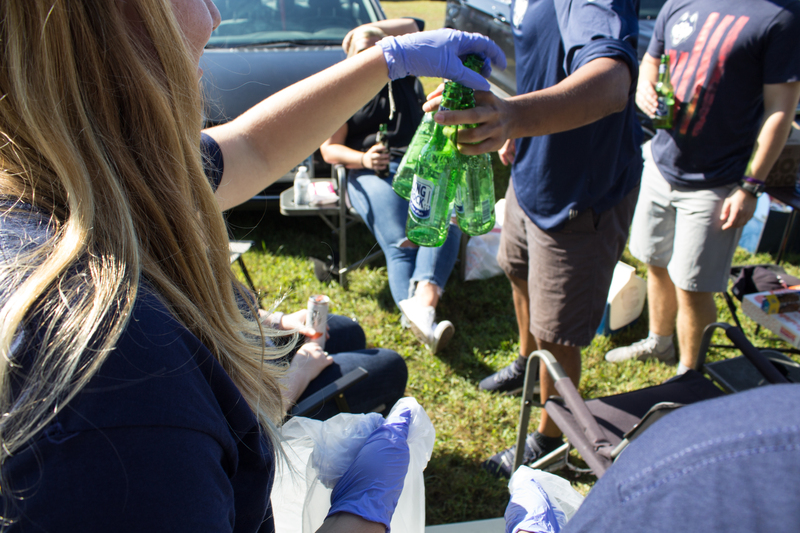 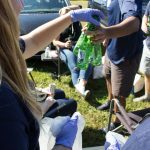 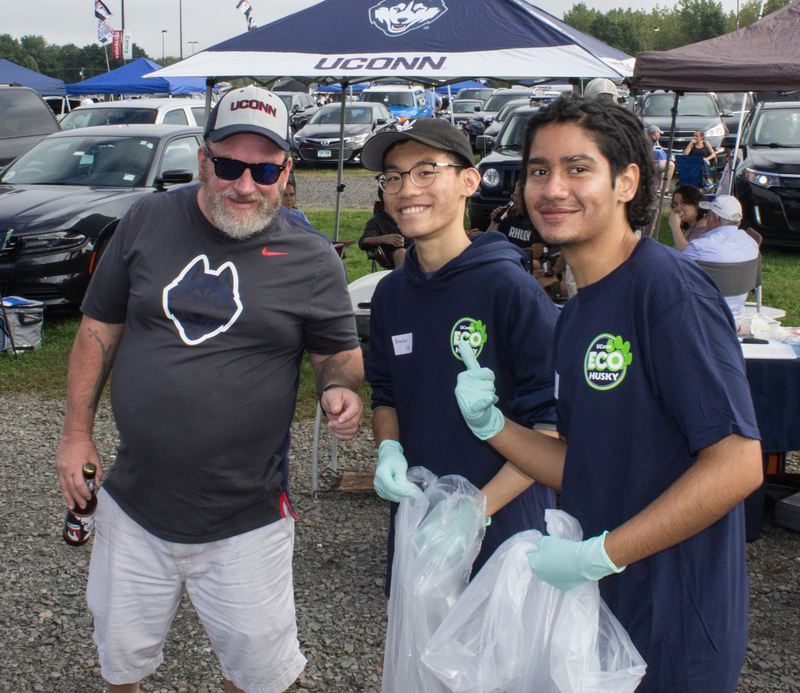 Each year, students from the EcoHusky student group and EcoHouse living and learning community have been invited to football, men’s basketball, and women’s basketball games to encourage fans to recycle. 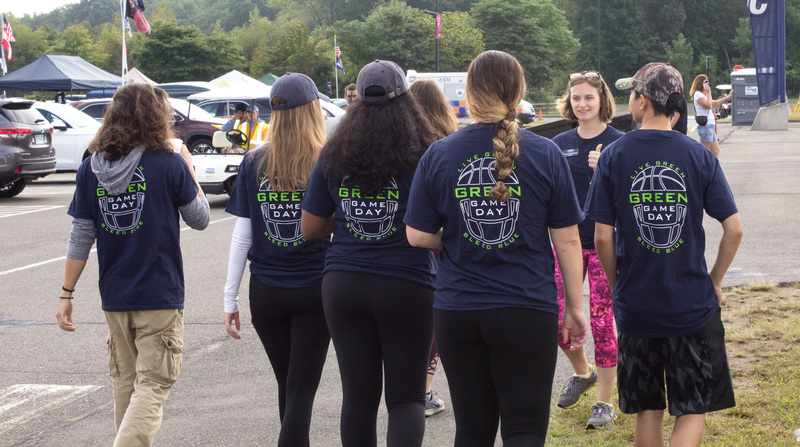 These events have been dubbed Green Game Days. 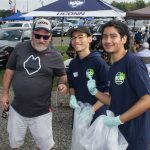 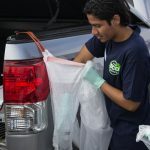 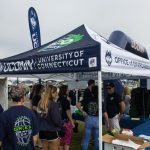 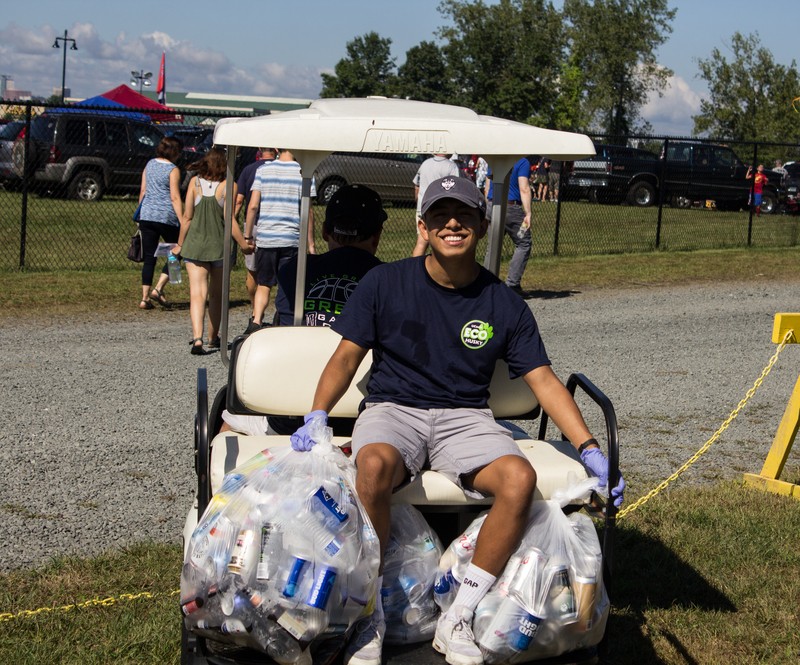 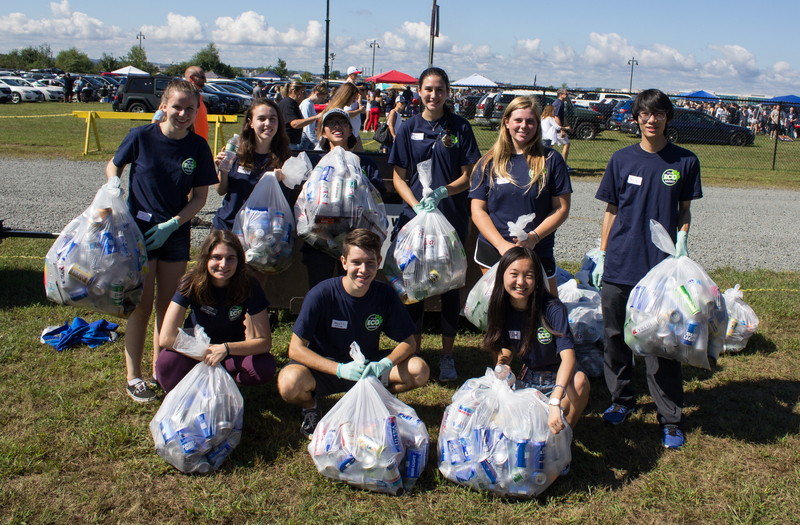 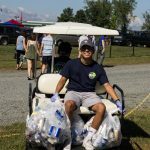 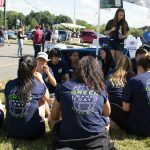 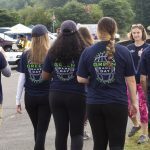 This past weekend, the EcoHuskies pitched a tent outside the stadium in East Hartford to raise awareness about their mission of sustainability, and to serve as the headquarters for about a dozen volunteers who collected bags of containers for recycling.